You can’t go wrong with an Alan Bennett play. Just reading the above quote brought a smile to my face and a flavour of what Forty Years On would offer. It’s 1968. A public school on the South Downs. The Headmaster is retiring and today is his last day. His final task is to appear in the school play. The problem is, he’s yet to read the script. It soon becomes clear that ‘Speak for England, Arthur’ is not quite the celebration of school tradition the Headmaster might have expected. A glorious comedy, Alan Bennett’s first play is a hilarious and at times unnerving enquiry into Englishness, nostalgia and identity. Written at a time of tumultuous social change it explores, with great satirical verve, the impact of the past on the present. 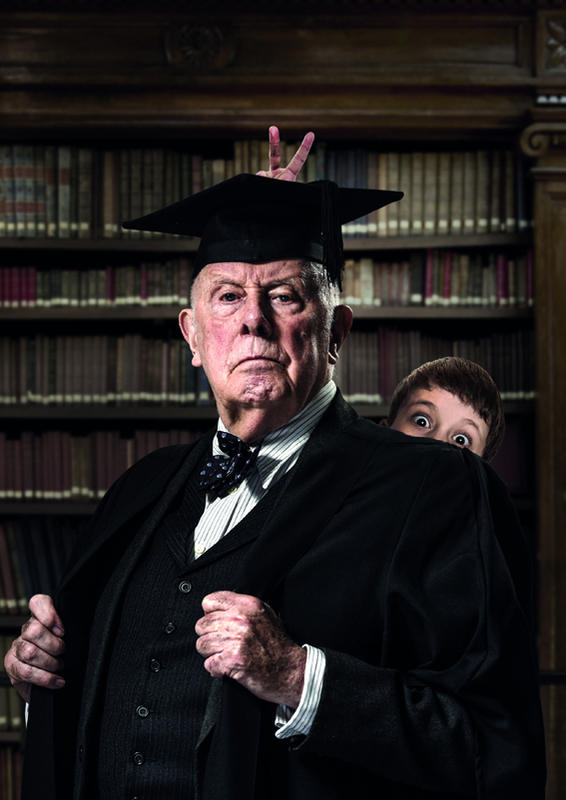 The company will be led by Richard Wilson as the Headmaster. Having directed ‘FRACKED!’ for Festival 2016, the much loved star of TV’s One Foot in the Grave appears as an actor at Chichester for the first time. Visit www.cft.org.uk for full details of Festival 2017. The Connaught Theatre 5th May sees Lankum, formerly known as Lynched, perform. 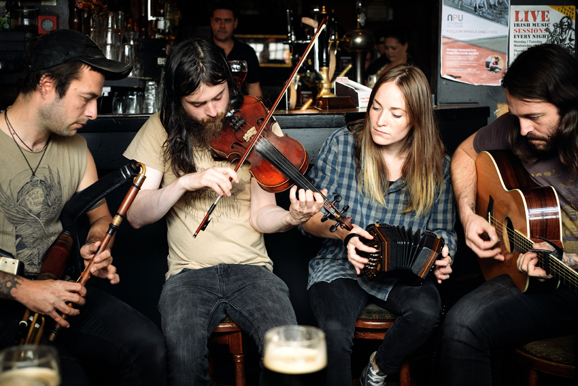 Lankum are a four-piece traditional folk group from Dublin, Ireland, who combine distinctive four-part vocal harmonies with arrangements of Uilleann pipes, concertina, Russian accordion, fiddle and guitar. Their repertoire spans humorous Dublin music-hall ditties and street-songs, classic ballads from the Traveller tradition, traditional Irish and American dance tunes, and their own original material. On Sunday afternoon 7th May at the Assembly Hall the Worthing Symphony Orchestra wind up their 90th anniversary season with Tchaikovsky’s 1812 Overture, with cannons and bells, two great John Williams film scores: Star Wars and Escapades, the latter starring saxophonist Jess Gillam, finalist in BBC Young Musician 2016. Other works include A Sussex Overture by Malcolm Arnold, Bishop Rock Overture by Doreen Carwithen and the classic Warsaw Concerto with Anna Szalucka (piano). Worthing Theatres will also be reprising their highly successful Summer of Circus. Last year their first ever Summer of Circus became one of the three biggest contemporary circus festivals in the UK, and this year promises to be even larger. 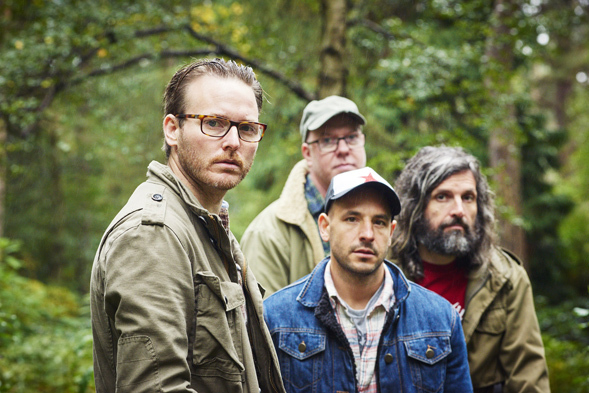 Coastal Music Ltd brings renowned indie band Turin Brakes to Worthing Pavilion on 23rd June. 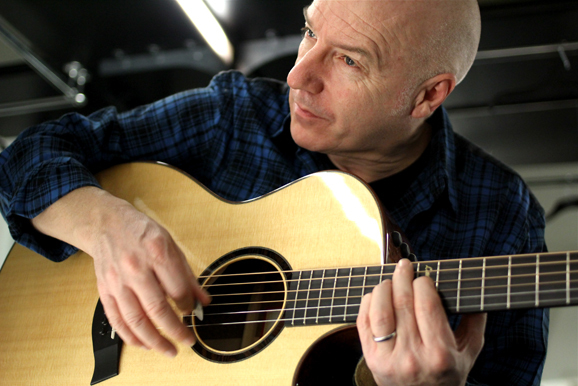 This show offers a unique live performance set-up for the band, who will be performing ‘in the round’, with both seated and standing tickets available. They will be performing songs from their new critically acclaimed album, Lost Property, as well as all the old hits from their back catalogue. Formed in South West London in 1999 by childhood friends Olly Knights & Gale Paridjanian they are joined by long term collaborators Rob Allum & Eddie Myer. In 2000 Turin Brakes released their Mercury Music Prize nominated debut album The Optimist followed by Ether Song which went straight to the top 5 in the album charts & featured the top 3 hit single Pain Killer. They are commonly considered one of the ﬁnest & most inﬂuential indie bands of the last decade & have sold well over a million records to date. Their latest critically acclaimed studio album, Lost Property, ﬁnds Turin Brakes at their most assertive & consistent yet. Visit www.worthingtheatres.co.uk or www.facebook.com/coastalmusicltd for more info or to book tickets. 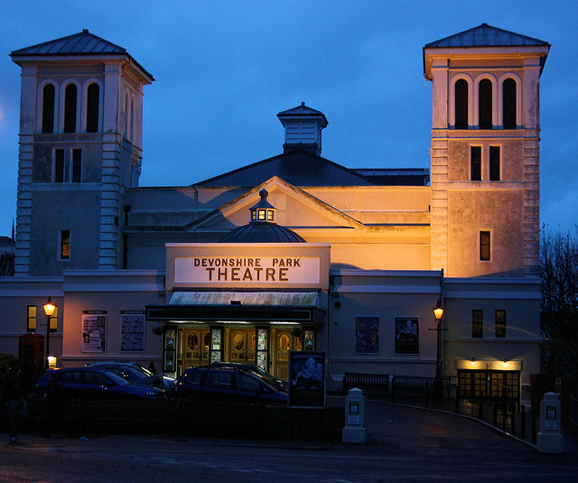 Ropetackle, Shoreham’s award-winning arts venue is celebrating being 10 years old. Visit ropetacklecentre.co.uk/ropetackle-10-year-celebration/ for full information about the centre. On 23rd April the London Philharmonic Orchestra are performing Brahms Horn Trio and Schubert’s Piano Quintet in A major (‘Trout’) with soloists of the LPO. If symphonies are like big-screen blockbusters, chamber music is like a composer’s personal diary: thoughts and feelings that are too special to share with just anyone. Emotions run deep and strong in Brahms’s haunting Horn Trio, written as he mourned the death of his mother. But in Schubert’s hugely popular Trout Quintet, they bubble over with joy. Beautiful melodies in abundance! Please note that due to high demand there are only restricted view seats available, please contact Box Office on 01323 412000 to book these seats. And from 8th May to 13th May the theatre hosts ‘The Play That Goes Wrong’, where Fawlty Towers meets Noises Off in this multi award-winning West End smash hit comedy. The Cornley Polytechnic Drama Society are putting on a 1920s murder mystery, but as the title suggests, everything that can go wrong… does! As the accident-prone thesps battle on against all the odds to reach their final curtain call, hilarious results ensue! Visit www.lpo.org.uk or, for the theatre’s full programme, www.eastbournetheatres.co.uk. 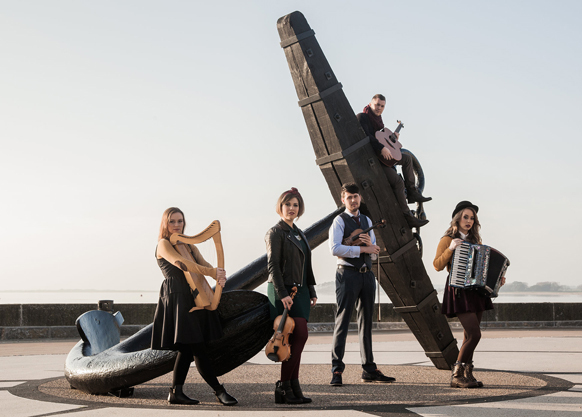 Fiddles, guitar, accordion, bagpipes and step dancing explode into life when Calan, the energetic young folk band from Wales, take to the stage in Horsham on 14th May. They have introduced a new generation of music fans to Welsh traditional music – and continue to do so as they tour across Wales, throughout the UK, Europe, across the USA and beyond. Pathos, humour and step-dancing from a champion dancer makes for an outstanding show. Visit www.thecapitolhorsham.com for further information.